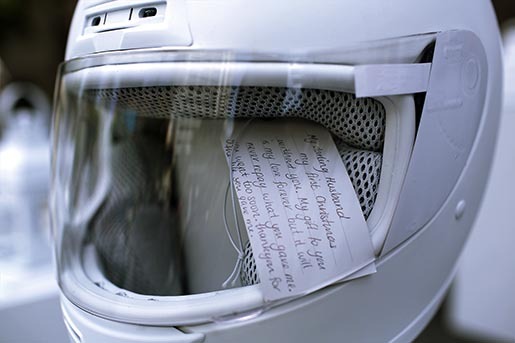 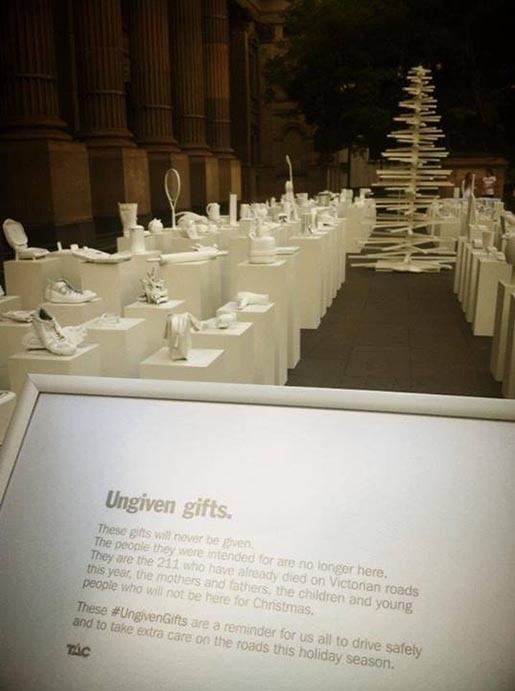 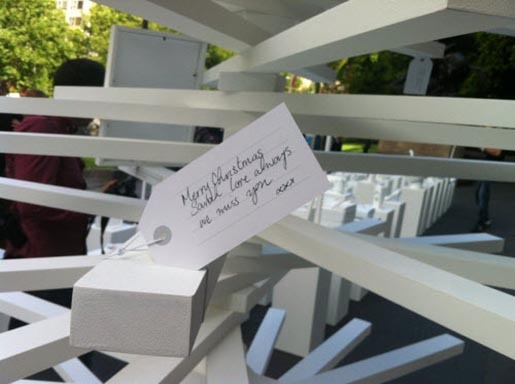 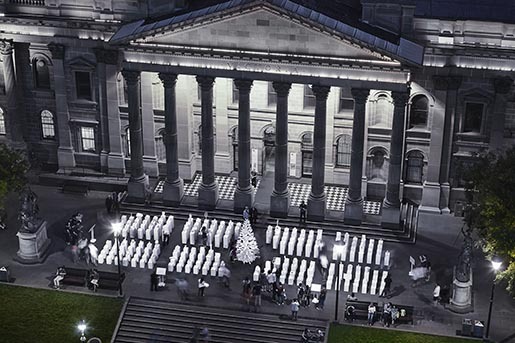 TACVictoria, the Australian road safety organisation, has been running “Ungiven Gifts”, a heart moving installation of 209 Christmas gifts that will never be given. 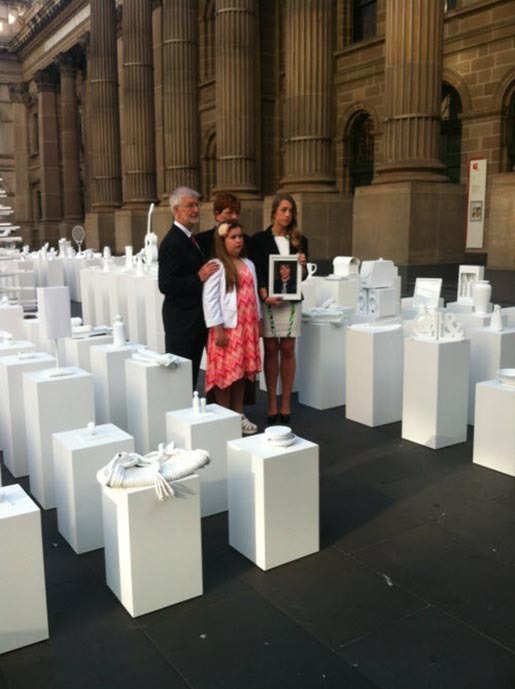 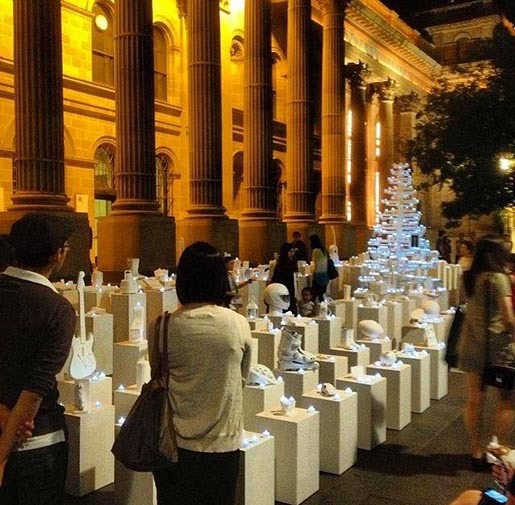 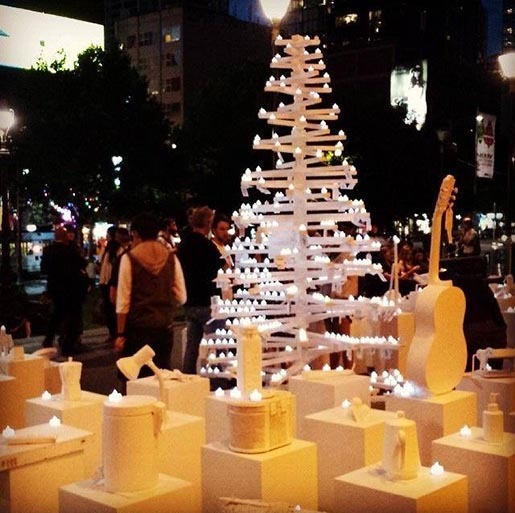 Each whitewashed gift displayed in the Melbourne CBD symbolised a life lost on Victorian roads so far in 2013. 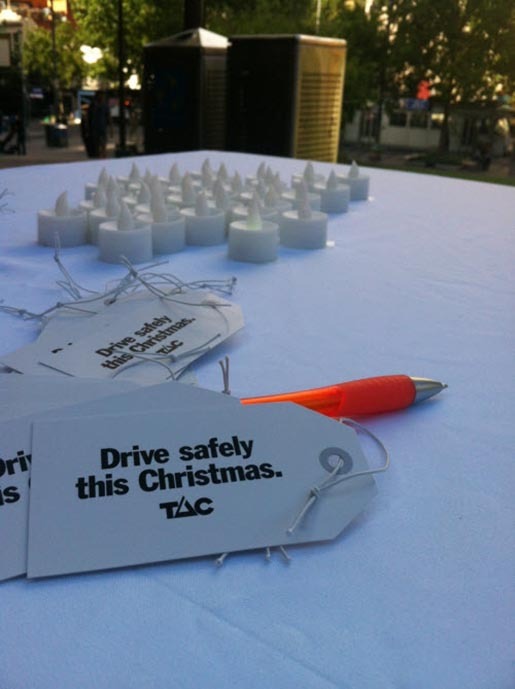 The online campaign involved hundreds of photos, tributes and drive safely messages were left at #ungivengifts. 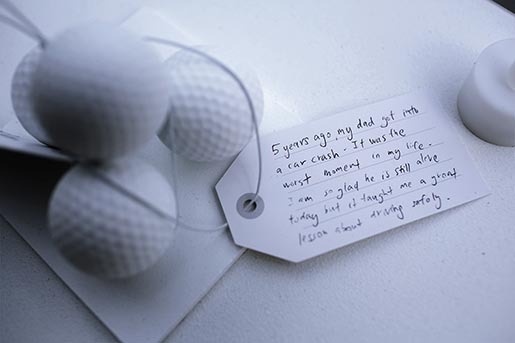 Visitors can leave either a commitment to safe driving or a tribute to a loved one on the Christmas tree, or on Facebook. Melanie tells the story of losing her sister Sarah in a road crash 20 years ago and the ungiven Christmas gift the family still has. 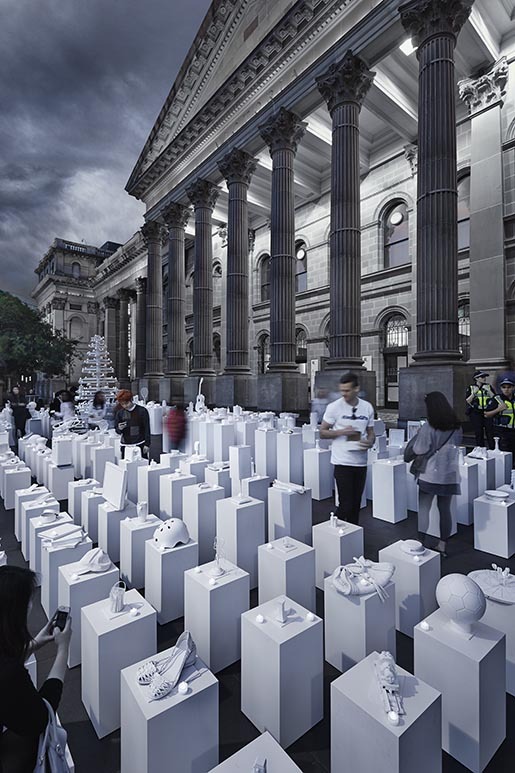 The Ungiven Gifts campaign was developed at Grey Melbourne by executive creative director Michael Knox, creative director Nigel Dawson, creatives Rohan Cooke and Laura Petruccelli, producer Kath Regan, account director Jodi Gubana, general managers Randal Glennon and Kerrie Spaargaren, with photographers Louis Petruccelli and Guy Lavoipierre. 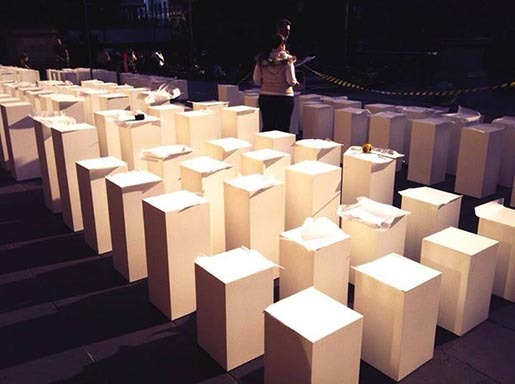 Event management was by Red Exhibitions and Studio57F1.